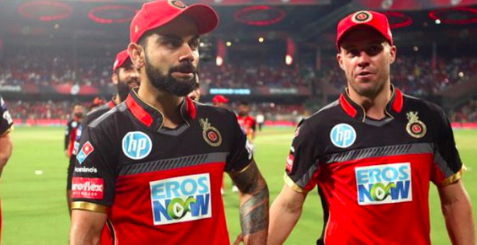 IPL 2019: Kohli's captaincy under RCB? There have been a plenty of reports surrounding that South African legend AB de Villiers will lead Royal Challengers Bangalore in the 12th edition of Indian Premier League 2019. It has been reported that, If everything goes right, the RCB management is likely to confirm the reports shortly. It is widely expected that the announcement will be one of the biggest news in the Cricketing World. During Kohli's captaincy at RCB for 6 years, the Franchise is yet to win the Title. The 29-year-old was appointed as the captain in 2013. No doubt, the highly-rated batsman has been impressive with his form. But in terms of leading a side, the right-handed batsman hasn’t been that satisfactory for the franchise. Royal Challengers Bangalore wanted some fresh ideas and to implement on the field, they needed someone who is an experienced in the field. So, it remains to bee seen if Kohli replaced by AB de Villiers for the coming season?